The green trailer has solar panels, bamboo cabinetry, FSC-certified lumber, recycled-content glass desks and countertops, recycled rubber floors, and a bio-diesel generator. During a use of the Helios on location, the trailer ran for 14 hours without the use of a generator or other fuel. 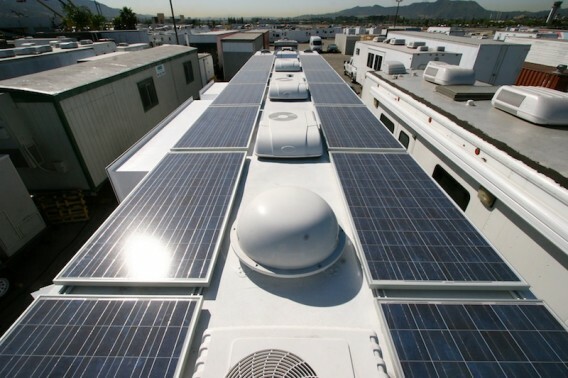 This saved about 28 gallons of fuel that would have been used without the solar panels on the roof.